Please welcome Dan Koboldt to The Qwillery. 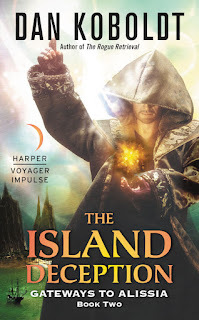 The Island Deception, Gateways to Alissia 2, will be published on April 11th by Harper Voyager Impulse. Have you ever wished you could enter another world through a magic wardrobe, or take a stargate to a parallel dimension? If so, my friend, you’re a fan of the portal fantasy. This is a loose term for science fiction and fantasy stories that connect one world – often Earth, but not always – to another time, place, or dimension. The portal that does the connecting might be of magical, technological, or natural origin. No matter the type, the concept of a portal fantasy is easily defined: someone goes through a thing and ends up somewhere else. If this concept sounds familiar, that’s because portal fantasy has pervaded literature for decades. Robert Heinlein’s Tunnel in the Sky (1955) offers a classic take on the idea. The main character, Rod Walker, is a high school student who dreams of becoming a professional colonist. The final test of his advanced survival course is a brutal challenge: to stay alive for several days on a hostile planet. 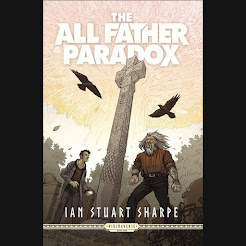 Students reach the planet by way of a “Ramsbotham portal” – a man-made teleportation device that promptly malfunctions, stranding Rod and the other students on an uninhabited world. Not all portal stories take the reader to hostile worlds, however. In C.S. Lewis’s Chronicles of Narnia, the children depart wartime England for a fantastical world where the beavers can talk and they get to rule as monarchs (the children, not the beavers). Having sold more than 100 million copies in 47 languages, Narnia is probably the work that most readers think of when they hear portal fantasy. In the last few years, however, some in the publishing world have grumbled that the portal fantasy fad might be over. Done with. Absolutely cannot sell. Some have gone so far as to proclaim that the portal fantasy is dead. This is a falsehood. Portal fantasy is alive and well in the publishing world. To prove this, I went to Twitter and asked people to share their favorite portal fantasies published in the last couple of years. 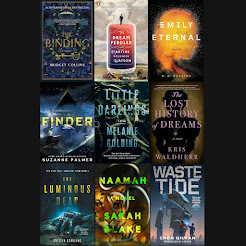 The responses overwhelmed my feed, and demonstrated just how diverse and vibrant the portal fantasy subgenre has become. Take a look at these recent examples, and you’ll see that we’re well beyond wardrobes, now. In this series, there are four parallel versions of London: Red London, where magic is revered, White London, where people fight to control magic and monarchy both, Grey London, where no magic exists at all, and Black London, the forbidden realm no one speaks of. 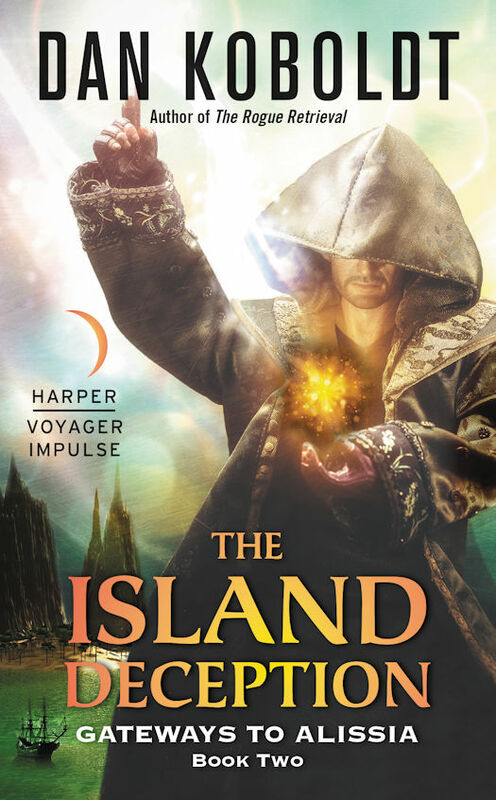 The main character is a rare breed of magician who travels between them as a sort of diplomat, until he unwittingly stumbles upon a dangerous artifact from Black London that must be returned there. Ellis Rogers is just a regular guy who, upon learning that he has a terminal illness, decides to try out the time machine he’s built in his garage. If it works, he might find more than just a cure for his illness: he might find paradise. But first, he’ll have to survive the Hollow World that lies between. Don’t you hate it when you finally work up the nerve to talk to that hot guy in the library, only to have him disappear? That’s what happened to Gia Kearns. When she examines the strange book about world libraries that he abandoned, it transports her to a library in Paris. And summons a demonic hound that pursues them until the hit guy and his friends – who are actually magical knights charged with protecting humanity – show up to rescue them. And that’s just the beginning of this adventure. Nancy tumbled through such a gateway once, but now she’s back. It changed her, but the other children under Miss West’s care understand. They’ve had similar experiences, and each of them searches for a way back to their own fantasy world. Saffron Coulter’s dreads going to school every day, where a boy harasses her without mercy. When a stranger shows her a moment of kindness, Saffron follows her and stumbles through a hole in reality. She finds herself trapped in a magical realm on the brink of civil war. She falls in with the wrong faction and must flee to the dubious safety of another country, and it’s still better than a day at high school. College student Natalie Barns takes a job at a costume shop because she needs tuition money, and in spite of her reservations about a weirdo co-worker. When she stumbles through the strange door in the back of the shop, she finds (of course) a magical world on the other side. But unlike the children in Narnia, she’s not granted royalty status or special abilities. All she knows how to do is run. In a world filled with deadly magic and decaying monsters, she’ll be doing quite a lot of that. 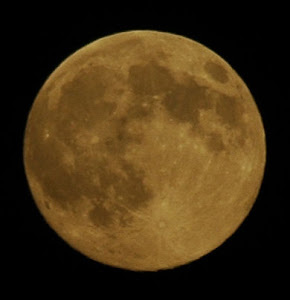 In the world of this book, magic is governed by the rise and fall of celestial bodies. At their peak, certain forms of magic are strong enough to create a portal to other realms (none of them Earth). Whether it’s frozen tundra where very little can survive, or a tropical clime where semi-sentient plants can kill, each realm is uniquely complex. Now, a dark chaotic star’s rise will bring all of these worlds together, and only one can survive. 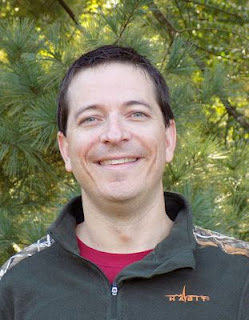 Dan Koboldt is a genetics researcher and sci-fi/fantasy author from the Midwest. 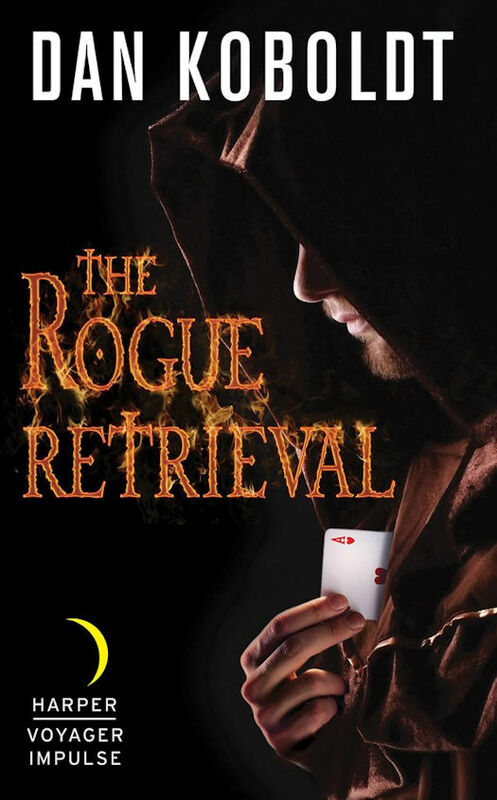 His novel The Rogue Retrieval – about a Vegas magician who infiltrates a medieval world – was published by Harper Voyager in 2016. You can find him on Twitter (@DanKoboldt) and on his website at dankoboldt.com. Readership for Bestselling Fantasy ROSE blooms! GOD COUNTRY #4 Rushed Back to Print!